Todd Harrell, bassist for the group 3 Doors Down, who was arrested late Friday night and charged with vehicular homicide following a deadly crash in Nashville, Tennessee, is back on the streets after posting $100,000 bail. According to police, Harrell was driving at a high rate of speed when his car clipped a Ford pickup truck which then went out of control, struck a guardrail, traveled down an embankment and overturned. Police say the driver of the pickup was not wearing a seatbelt. He was transferred to a nearby hospital, but was pronounced dead shortly after arrival. Harrell showed signs of impairment during field sobriety tests and admitted to police he had been drinking hard cider and taking prescription Lortab (a painkiller) and Xanax. While being booked at the jail, Davidson County Sheriff’s deputies say they discovered a plastic bag in Harrell’s sock that contained more Xanax pills along with Oxycodone and Oxymorphone pills. He was charged with vehicular homicide and bringing controlled substances into the jail … and has a Thursday court date on the schedule. Police records say that Harrell seemed to be confused about the crash and what happened, and he showed signs of being impaired during a series of field sobriety tests. Harrell admitted to drinking hard cider earlier in the evening and to taking prescribed Lortab and Xanax, records show. A breathalyzer test showed that Harrell had no alcohol in his system, records show. He refused to give a blood sample and told police that he was worried about narcotics showing up in his system, records say. Police were able to get the sample through a court order. Harrell has had previous trouble with the law. 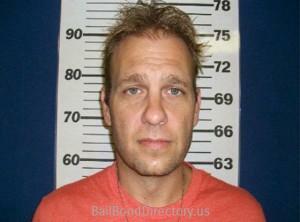 He is scheduled to appear in a Mississippi court to answer a 2012 DUI charge next month. He was arrested in July following an accident where he rear-ended another driver, D’Iberville Police said. Records indicate that he was arrested in 1999 on a charge of public intoxication. Harrell, police said, was drunk and used profanity when talking to officers after being warned several times to keep him mouth shut. It’s not clear if he was convicted on that charge. Posted on April 25, 2013 by US Bail Bond Directory. This entry was posted in Arrest, Celebrity and tagged 3 Doors Down, controlled substance, Nashville, Tennessee, Todd Harrell, vehicular homicide. Bookmark the permalink.